A question I get quite frequently from brands is, “Is it worth it to pay for custom tee tags?”. Personally, I’ve always loved when a brand spends the extra effort and money to include custom tee tags and I think all brands should at least consider it, here’s why. The custom tee tag is another area where you flex your brand muscle and separate your brand from others. It’s the extra level of finishing and overall TLC that to me says a brand cares about what they are doing and how their brand is being represented. There’s a reason why brands like Johnny Cupcakes, UGMONK, Benny Gold, The Hundreds and the rest of the top players in the industry spend the extra money to do it and a brand trying to make a name for yourself it doesn’t hurt to look as pro as possible with your releases. Let’s face it, no one likes an itchy tag rubbing on the back of their neck all day. Do you want your customers associating your t-shirts with an annoyance or with comfort? Many brands understand that they need to pay up for comfortable form fitting t-shirts from American Apparel, Canvas and Alternative Apparel, but leaving in those tags in my eyes defeats some of the purpose of the comfort you are paying for. Never let your customer forget who they bought their shirt from! 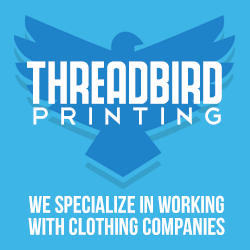 If your logo isn’t anywhere on your shirt, hem tag or tee tag it is entirely possible that months or years down the road that they could forget where they got a certain shirt from. I admit I probably have this problem more than most people s the sheer amount of t-shirts I have is alarming, however I’d venture to guess this has happened to others as well. Never leave your customer wondering where they got your shirt from! 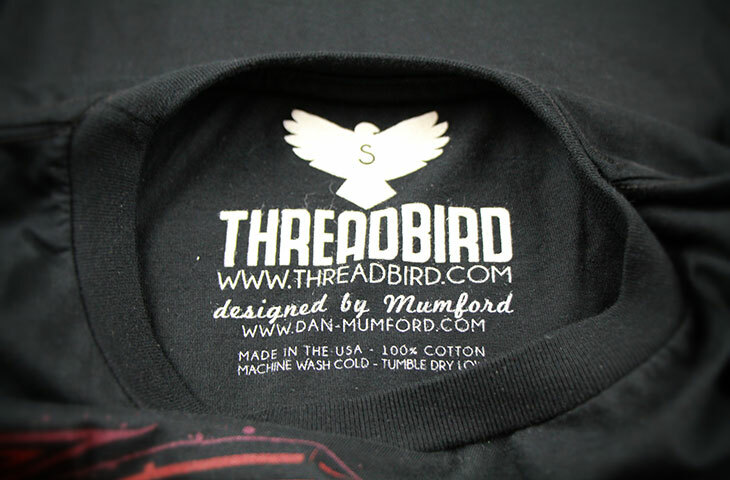 Looking at Threadbird.com and depending on the size run of shirts you are printing custom printed tags will run you anywhere from $1.40 to $.80, and I’d assume most brands will be in the $1.00 range plus some setup costs. As a customer you can pass that $1.00 onto me anytime for a more pro looking and feeling shirt. For some custom tee tag inspiration be sure to check out this post.